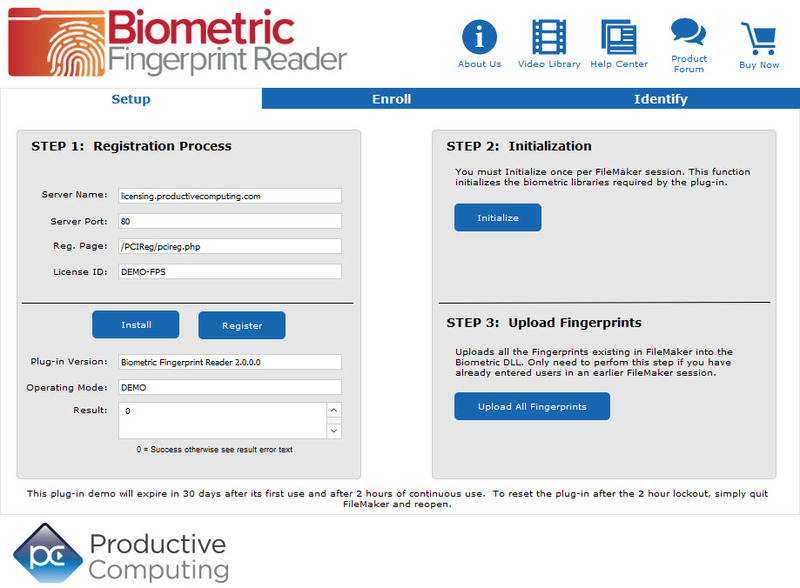 The Biometric Fingerprint Reader plug-in allows for fast identification and secure verification capabilities that enable your FileMaker Pro solution to recognize individual users without requiring passwords or card swipes. This technology can be used to recognize and authenticate individuals based on who they are, rather than what they know (passwords or PINs) or what they possess (keys or swipe cards). Used in conjunction with traditional FileMaker scripting, this product can be incorporated to solve a number of issues including validation of a user’s identity, confirmation of important actions or to provide special approvals by other users. Combat fraud and boost customer efficiency with the Biometric Fingerprint Reader and the Digital Persona U.are.U 4500 Fingerprint Reader. The device was specifically designed for business-critical applications that require a high-level of durability and a high degree of accuracy from fingerprint readers. This plug-in is verified compatible with FileMaker Pro 15 - 17 (32-bit & 64-bit), Windows 7/8/10 and may work with earlier versions. This plug-in and its installer is now code-signed, introducing an extra level of security that ensures the plug-in package is not compromised in any way. Added new function "PCFP_GetReaderProperty( ReaderID ; PropertyName )" that returnsthe value of the specified propery for the chosen reader (blank returns the property of the current reader). Added new function "PCFP_CalibrateReader( ReaderID )" that runs the specified reader's Calibration routine, if it can calibrate. If left blank, the reader will be the default reader. Added new function "PCFP_SelectReader( ReaderID )" that selects a reader based on the reader ID parameter. Added new function "PCFP_ListReaders" that returns a return-separated list of connected reader devices that the plug-in can access. The Digital Persona U.are.U 4500 Reader and Digital Personal U.are.U 5160 Reader devices and were specifically designed for business-critical applications that require a high-level of durability and a high degree of accuracy from fingerprint readers. The compact design, high-quality metal casing and special undercoating ensure reliable performance over the widest population of users. 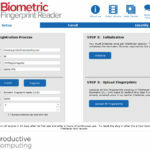 The unsurpassed performance and design deliver unequaled accuracy with dry, moist or rough hard-to-read fingerprints in any shared environment.